I’m stuck in between wiring the panel to the drawings not knowing what’s connected at the other end: This was indeed the problem, the drawing was for 2 wire, in reality the system was 4 wire!! Data Sheet and Wiring Manual chapter 5. Making links for 14 terminals is both time consuming and costly! I think I’ve discovered the issue we might be having, the unit was installed to the drawings we were issued, but I’m pretty certain it’s a 4-wire system on the other end of the cables and not a 2-wire as the drawings suggest! I’ll post later and let you know how I got on. Product Support Services Forum mySupport. I’d see the connection diagram beforebut it 6es73331 show what to do with unused channels and I thought this might be the problemthe “manual” download does show how to wire these, so thanks for that. We have 5 2 wire mA signals, and the rest of the inputs are spare. Follow us on Twitter Youtube. This is universal card. 7kd02 This contribution was helpful to 1 thankful Users Markriko. Anyhow, I’m off to switch the wiring around, and hope there’s been no damage to the card. If for four wire you need to link all the negative sides of the signal to -ve, then why not do it within the e6s7331 setting block you have to put in position to select the signal type. Check also if the measuring range module is pluged right. I’m afraid this is what comes when too many people are involved with a project. Hi new to Siemens so please be gentle. Thanks everyone for your help. This contribution was helpful to 2 thankful Users Towome Markriko. Once again thanks for helping out. 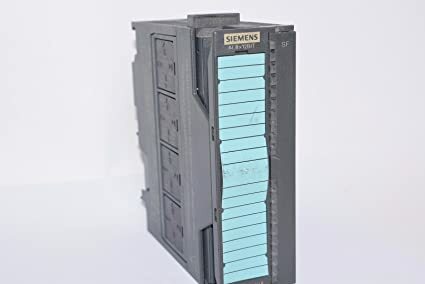 Attachment Siemens Analogue Card. Hi, This is universal card. Currently trying to commission a Siemnes PLC and analogue card as above, can some please tell me if the wiring diagram is correct. When the transducer have thier power-supply not from the AI-Module through the wires for the measurement, it is a 4-wire-transducer. We only have five signals, so according to the manual I need to shot out unused inputs, but the channel 5 again why start at 0!! Surely it wouldn’t be 7lf02 hard to enable monitoring on a per channel basis.